Sigma’s camera evolution continues with the latest version of the DP series, the DP2s. Unlike the progression from DP1s to DP1x, the DP2s is essentially a refinement of the previous design, though Sigma remain coy about internal changes. Reading between the lines, the sensor may well be a new “version” of the 4.5 x 3 Mp Foveon chip first seen in the SD14, and there’s definitely some adjustment to the base firmware, but it’s less likely that the physical hardware of the camera has actually changed. Externally the DP2s can be identified by red markings beside the controls, a response to user-feedback but still short of the expected “marked buttons”, which remain black with etched symbols. The LCD and lens are unchanged and the camera remains equipped with a TRUE II DSP and SDHC card storage. Firmware changes, also made available for the DP2, see improved AF performance and low-light focus accuracy, whilst a combination of firmware and hardware revisions contribute to an improved power-saving mode for increased battery life. Overall, then, the DP2s does not seem like much of an upgrade, and you’d be forgiven for looking at the remaining DP2 models for purchase currently. The DP2s SRP is £599, whereas the DP2 remains available for under £500 in many places. If you’re unfamiliar with the DP series, a quick refresher: The Sigma DP range currently consists of two compact cameras with large Foveon X3 APS-C sensors – an industry first. The DP1 models feature a 16.6 (28mm equivalent) F4 lens, the DP2 features a 24.2 (41mm equivalent) F2.8 lens. Originally launched in 2008 with the DP1, there are now five variants – the DP1, DP1s and DP1x, and the DP2 and DP2s. The 2009 DP2 model featured a new TRUE-II processor, a completely new button arrangement with rapid access to shooting parameters, interval shooting capability and ISO modes up to 3200, and the DP1x adopts the DP2’s hardware layout. As intermediate models, the DP1s and DP2s mark minor changes to the cameras. It’s unlikely that there will be a DP2x, the next DP camera expected is an interchangeable model – though the mount format and actual details of that remain unknown beyond the stated intent to produce such a variant. All of the DP models feature easy access to manual controls, such as a manual focus wheel on the back allowing preset focus, rapid adjustment of aperture and shutter speed (a leaf shutter, using the diaphragm of the lens, rather than a focal plane or electronic solution – maximum speed of 1/2000th) and wheel selection of mode. The LCD is used for composition and on TRUE-II models features a display histogram, configurable grid overlay and quick zoom function in MF mode; the resolution of 230,000 pixels is equal to the video capture resolution of 320 x 240. In fact, the Live View requirement of a camera without an optical viewfinder seems to have driven the appearance of the DP series’ ability to record video, and the QVGA movie capture even has bars (the capture size is 320 x 212) that appear to match the display area given to the status bar. The screen on the DP series is adequate for the purposes, but as time and technology progresses, on paper the resolution appears not to stack up. As an objective reviewer of cameras, I maintain that the display is usable. As someone with an understanding of technology, it’s now lagging behind the competition, and unlike 2008, there is now a lot of competition. The DP series remains unique with the Foveon sensor and as such, retains advantages as a camera that keep it relevant. ?For what it’s worth, the newly-launched SD15 has a higher resolution screen and does not offer Live View, and the Leica X1, at £1999 and occupying a similarly “high end compact” market position has exactly the same resolution screen as the DP, and equally relies upon it for composition. This leads me to suspect that the LCD screen would be acceptable to most people if they weren’t focusing on the numbers, and that the video resolution is very much a limit of the Foveon/TRUE II combination, leaving the movie mode on the DP models to be a happy side-effect rather than a curiously under-specified “feature”. Sigma’s adoption of the Foveon sensor leads pundits and buyers alike to draw some interesting conclusions about the camera performance so it pays not to get too wrapped up in like-for-like comparisons. The DP2s, like the previous DP models, deserves to be judged in isolation – the buyers can make their decisions without the need for spoon-fed editorial. It is, of course, possible to get a review of the DP2 model on this site already – there’s no sense repeating myself. 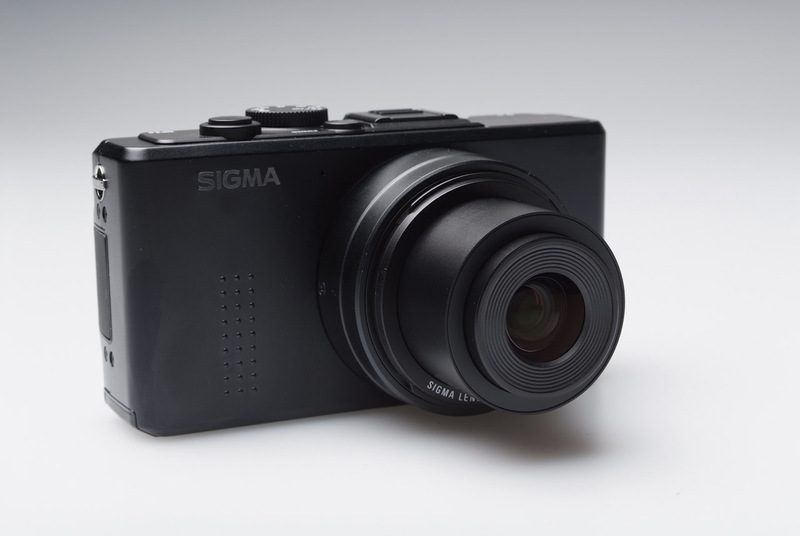 So on the DP2s, we need to consider three changes – one of which is available to all users as a download in the form of Sigma Photo Pro 4 which I’ll cover in depth elsewhere. The first significant change are the body markings. These do improve the usability of the camera, combined with the rapid-access to MF zoom first seen in DP2 firmware 1.03. It’s still necessary to pay attention to the display to ensure you’ve changed exactly what you wanted but the DP2 and DP2s allow up/down adjustment of shutter speed and left-right adjustment of aperture without an additional mode change. Due to the focus mode button being part of the joystick, it’s still not wholly intuitive – aperture is on the very comfortable and underused “zoom” buttons (marked for playback functions – the “digital zoom” function has been discontinued) and can be used in Program mode to override the automatic settings. 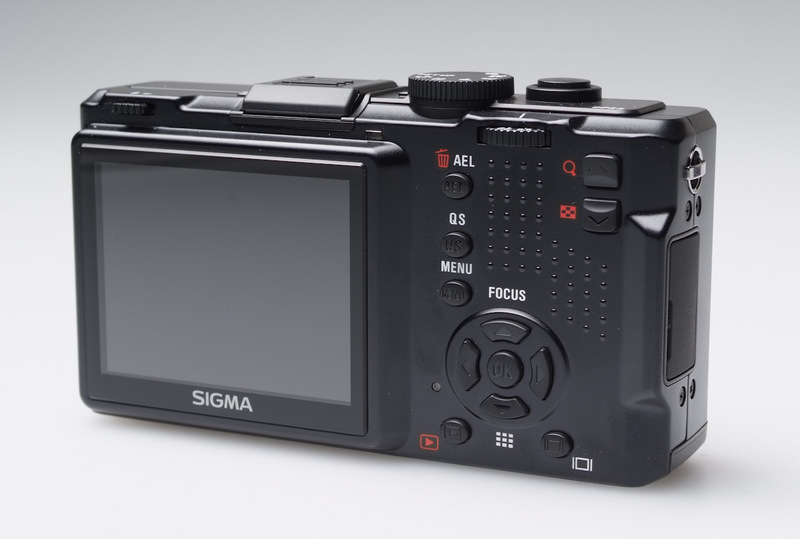 Sigma have done a lot to make the camera configurable and the function of the buttons can be changed, with all settings being saved to SD for later recall if wanted. The second change is in the colour behaviour and sensitivity of the Foveon sensor. 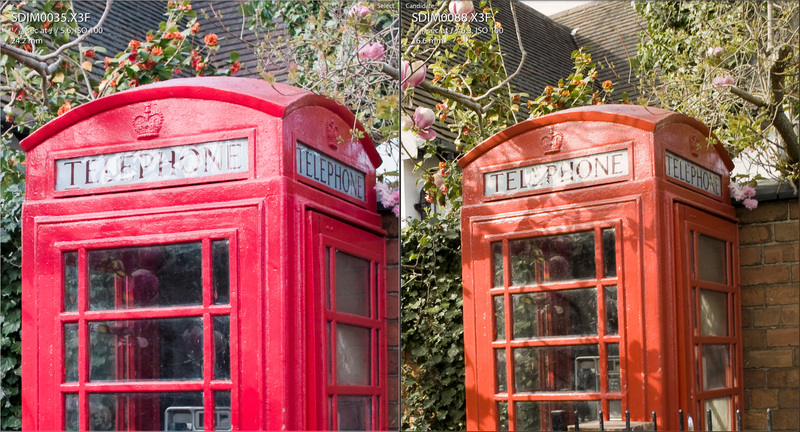 Camera colour balance is a matter of taste and preferences in the user, but in the DP2s the appearance of reds has been adjusted to give a more natural appearance. This is quite distinct, and very clearly different to the DP1, DP1s and DP2 models.